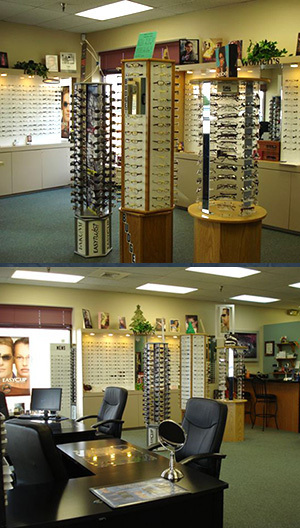 Andover Optical's dispensary is welcoming so you can come in and look around. We carry many manufactures so you have a large selection to choose from. Our opticians will gladly help you select your frame according to face shape and skin tones or just let you browse. Our knowledgeable and friendly staff will help you find the perfect frame from our selection of eyewear and sunglasses all provided in a welcoming setting. We carry Oakley's prescription and plano sunglasses, and Flexon frames by Marchon. We carry many different manufactors for women, men and children. We have available the best progressive that is on the market and also the anti reflective coatings by crizal. We look forward to serving all of your eye care needs.